The Spartans won 70-9 over the Knights on January 11th, while missing district champion Nic Swift (106) and third place finisher Adam Kinnaman (138). Neither lineup should change too much, so Lincoln East should prevail again barring multiple major disasters. -Dixon won the state title while Betancur lost in the blood round. They did not meet during the season, and this should be the most competitive match of the dual. This dual will be close. On paper, Burke is favored in 8 matches, and have already earned bonus points in at least 3 times when those matchups happened earlier this season. -Stapleton won 8-5 over McMeekin at Districts. In matchups where wrestlers haven’t met this season, each team will be favored to get bonus point wins in 3 matches. Millard South will be looking for bonus points at 106, 113, 120 (a possible forfeit), while Gretna will be looking for bonus points at 132, 138, and 182. Millard South’s Garrett Carbullido was a state qualifier and went 1-2 at 126, while Gretna’s Luke Figi went 0-2 at 126. Gretna’s Cole Huss (3rd at 152) is favored over Alfonso Cunningham (non state qualifer), but they haven’t met this season. The team that avoids giving up bonus points and can win the toss-up matches will win this dual. 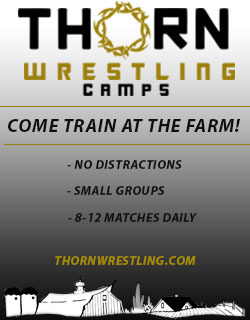 -Trumble pinned Everhart in the semifinals last weekend. Neither wrestler got what they wanted at state, so this will be the most hotly contested match of the dual. On paper, Lincoln East is favored in 10 matches. Omaha Burke has state placers at 3 of those weights who finished lower or lost head to head at state. East should earn bonus points in at least 3 of the 10 matches they are favored in. -Burks pinned Kammerer this season, but Kammerer has a knack of keeping matches close. -These two haven’t met, but Lenz performed well at state garnering a 5th place medal in the process. -This will be a rematch of the state quarterfinals where Miller won 14-6. -Reinke won 4-1 over Young in the 5th place match last weekend. Millard South starts this tournament with 119 straight dual victories and should capture their No. 120 vs Gretna. On paper, Kearney is favored in 8 matches, and they are expected to get bonus points in 4 of those matches. The Patriots are expected to get bonus points in 3 of the 6 matches they are expected to win. 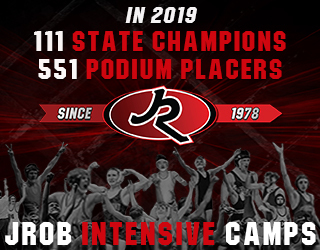 -State finalist Coyle is favored over Ritchie who didn’t qualify for state, but Ritchie has some solid wins this year and if he can pull the upset it would greatly help Kearney. -Smith was trailing late in their state semifinal match before earning the fall. This match will be hotly contested and the winner will provide a big momentum swing for his team. The dual between these nationally ranked teams on January 4th was an exciting back and forth battle in Lincoln East’s auditorium. Throughout the season Kearney has proven they can get bonus points at 5 weights (113, 126, 138, 195 and 285) while Lincoln East has proven they can get bonus points at 4 weights (106, 120, 145 and 152). Lincoln East is favored in 7 matches and Kearney in 5 matches, with 132 and 220 being tossups. Wrestlers from both teams have not met at 132 and 220. Should either team win both matches, the momentum will be greatly in their favor. -Sperling lost 4-0 to ranked Gage McBride earlier in the season before Kowalek took over the spot when McBride suffered a season ending injury. This match is a toss-up. Lyman finished 4th at state while Oliphant went 0-2. In the January dual, Lyman was leading Oliphant before Oliphant injury defaulted. It didn’t look like Lyman was going to earn major bonus points in that match, so if Oliphant can keep it close, it would be huge for Kearney. -Brown ended up pinning formerly ranked teammate Aipperspach in the dual after a back and forth battle. How will his style match up with Karmazin?